Permanent Secretary for Sugar Manasa Vaniqi has passed away at the Lautoka Hospital early yesterday morning after a short illness. This has been confirmed by the Director Sugar, Viliame Gucake who said he was shocked when he was relayed with the sad news. Gucake say he had just spoken to Vaniqi on Wednesday before leaving for Suva that day. 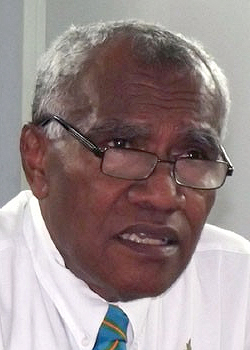 The late Vaniqi was appointed to his current position since 2009 to oversee the important reforms with the Sugar industry. Funeral arrangement will be announced later by the family.